Please note: Individual Doors titles are not numbered. Only the Infinite 45 RPM LP and SACD box sets are numbered, and limited to 2,500 copies. Mastered by Doug Sax and overseen by Bruce Botnick, The Doors producer/engineer. Part of The Doors reissue series proudly presented by Analogue Productions and Quality Record Pressings! The title track from this, the last Doors album recorded with Jim Morrison, who died shortly after it was released, has, said one reviewer, “maybe the best Chuck Berry riffs since the Stones.” And that’s not even mentioning “Love Her Madly,” which became one of the highest charting hits for The Doors. “Love Her Madly,” was written by Doors guitarist Robbie Krieger, who is said to have penned the song about the numerous times his girlfriend threatened to leave him. The song peaked at No. 11 on the Billboard Hot 100 singles chart and reached No. 3 in Canada. L.A. Woman was still high on the charts when, like in the lyric “actor out on loan” of its closing track — the celebrated “Riders on the Storm,” Jim Morrison died in a Paris bathtub in the summer of 1971. Analogue Productions and Quality Record Pressings are proud to announce that six studio LP titles — The Doors, Strange Days, Waiting For The Sun, Soft Parade, Morrison Hotel and L.A. Woman — are featured on 200-gram vinyl, pressed at 45 rpm. All six are also available on Multichannel SACD! All were cut from the original analog masters by Doug Sax, with the exception of The Doors, which was made from the best analog tape copy. This is no time to wallow in the mire. The Doors are on Analogue Productions! "Throughout the record history of the Doors, the goal between Paul Rothchild and myself was to be invisible, as the Doors were the songwriters and performers. Our duty was to capture them in the recorded medium without bringing attention to ourselves. Of course, the Doors were very successful, and Paul and I did receive some acclaim, which we did appreciate. "If you listen to all the Doors albums, no attempt was made to create sounds that weren't generated by the Doors, except for the Moog Synthesizer on Strange Days, although that was played live in the mix by Jim, but that's another story. The equipment used was very basic, mostly tube consoles and microphones. Telefunken U47, Sony C37A, Shure 56. The echo used was from real acoustic echo chambers and EMT plate reverb units. In those days, we didn't have plug-ins or anything beyond an analogue eight-track machine. All the studios that we used, except for Elektra West, had three Altec Lansing 604E loudspeakers, as that was the standard in the industry, three-track. On EKS-74007, The Doors, we used four-track Ampex recorders and on the subsequent albums, 3M 56 eight-tracks. Dolby noise reduction units were used on two albums, Waiting For The Sun and The Soft Parade. Everything was analogue, digital was just a word. We didn't use fuzz tone or other units like that but created the sounds organically, i.e. the massive dual guitar solo on "When The Music's Over," which was created by feeding the output of one microphone preamp into another and adjusting the level to create the distortion. The tubes were glowing and lit up the control room. "When mastering for the 45-RPM vinyl release, we were successfully able to bake the original master tapes and play them to cut the lacquer masters." Customer Reviews (4.79 Stars) 14 person(s) rated this product. Man, I have never heard The Changeling like this before. The opening track sets the tone for what you are about to experience. This album reissue is jaw dropping. The instruments sound like they are in the room with you. Loud is the way to hear this recording. The 45 rpm reissues are great. Man, if we could have Chad an Quality Records put out The Beatles reissues the right way, instead of how EMI handled their reissues. Oh we'll, we can dream, can't we. I own all of the 45rpm Doors pressings, and for some reason this one didn't knock my head back like "Strange Days" (probably the best of the bunch). Don't misunderstand - this is still likely the best this album has ever sounded, but it wasn't a revelation. I'd say this one and the s/t album are perhaps the weakest of the bunch, but they're still better than whatever else is out there. these doors albums are the most beautiful works of art that a record buying collector can purchase, the sound of this album is better than any previous editions of L.A. woman that I have ever owned and the record jacket is just so beautiful that I can not stop calling it beautiful, quality is beyond first class! I cannot stop gazing at my record collection with these jewels among them! ...and a quiet pressing on heavy vinyl. If there is one criticism I can offer regarding the recent Quality Records pressings I've bought, it is that there seems to be some problem with label centering. From slightly off to grossly obviously off center. But the good news is that these have all been quiet flat pressings that sounded very, very good. And this copy is no different. L.A. Woman, for many, is The Doors best studio recording. In a lot of ways I agree. But I do have a sentimental preference for Strange Days and the memory of that time. Never mind the digression. This is a hard driven bluesy,rocking good album. And this particular mastering captures all the raw energy and drive while rendering purer tone than the original. My only (other) complaint is that you have to get up and change sides twice as often. But the listening is great. One final note. For those who listen to the "sound" as much as the music. This is a must have. Because the sound is now better. Superior Quality Transfer to Vinyl! May just be the best copy I've heard. Tested it to the DVD box. and hands down the new vinyl is clearer, cleaner, sharper. less reverb. Great job guy's. Extremely pleased with this purchase. Jacket is a heavy gate fold with lyrics on the inside. Very carefully reproduced with DOORS embossed on the front cover. Beautiful! Record sleeves are poly bags with rice paper encased. Nice. Sound quality… I’ll admit the only comparison I have is a standard CD & these LPs kill it dead. I appreciate non digital with good dynamics like Speakers Corner have done on Doobies – The Captain & Me. The 1st thing that really stands out to me is the drums. Close your eyes & you can see, hear & feel them right in the room with you. The vinyl is flat & extremely quiet. Sound is natural with not a hint of digital fiddling. Crank the volume & the music comes to life with natural transparency & punch. This is a good sign that the dynamics are natural & have not been compressed. The sound is tight & precise without any hint of it being over cooked. Conclusion – if you like The Doors then IMHO you should get this version. Highly recommend! The Doors at their best. 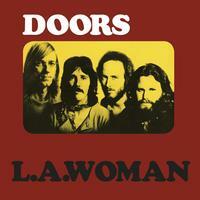 The best that I've heard L.A. Woman sound and I've been a Doors fan since the release of their first album. The first record of the set had a hole that was slightly off center but not enough to affect the play or alter the sound. I own all six Doors 45 rpm reissues and commend Chad and all the crew involved in making theses available to Doors fans.